The Institute of Texan Cultures gives voice to the experiences of people from across the globe who call Texas home, providing insight into the past, present, and future. At its core, the Institute of Texan Cultures is a lesson in diversity and it shows the uniqueness and beauty of the many cultures that came to Texas. It shows the contributions those cultures have made to the state’s character, through music and dance, food, stories and traditions, religion, artisan skills, and ways of life. The Institute of Texan Cultures opened as the Texas State Exhibits Pavilion, which was built for the 1968 HemisFair celebration. It opened at the height of the Civil Rights era, Vietnam War and a wave of civil unrest. Two days prior, April 4, 1968, Dr. Martin Luther King Jr. was assassinated. After the World’s Fair, the museum was turned over to the University of Texas System to continue to serve as a platform for diversity, multiculturalism, and education. UTSA assumed administrative control of the museum in 1973 and designated the Institute as a campus of the University of Texas at San Antonio in 1986. Located at the University of Texas at San Antonio Hemisfair Campus, steps from the Henry B. Gonzalez Convention Center and the Tower of the Americas, and only a short walk from The Alamo and the Riverwalk, the museum is a popular destination for tourists, residents, students, researchers, history buffs, and shopping enthusiasts. The museum is family-friendly and includes many hands-on elements for children. The 182,000-square-foot complex features 65,000 square feet of exhibits and displays that tell the stories of Texans. As the Institute celebrates its 50th anniversary, it looks forward to adapting to serve new generations of Texans and Texas visitors. This includes redeveloping classic exhibits, adding engaging new exhibits, developing new digital assets, and pursuing a long-term sustainability plan. Our vision for the next 50 years sees ITC continue its role as the premier museum for learning about the history and culture of San Antonio and Texas and our relationships with the world. As we unveil new and renovated exhibits that will enhance the museum’s role as a state hallmark and exemplar for what a museum and teaching institution should be, we will inspire children and adults to delve deeper into their own heritage and into the stories of Texas and Texans. 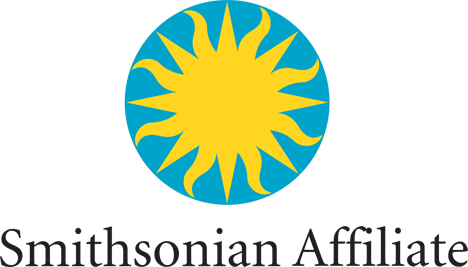 Smithsonian Affiliations, established in 1996, is designed to facilitate a two-way relationship among Smithsonian Affiliates and the Smithsonian to increase discovery and inspire lifelong learning in communities across America. The program establishes long-term relationships with museums and educational and cultural organizations to facilitate the loan of Smithsonian artifacts and traveling exhibitions, as well as develop innovative educational collaborations locally and nationally. In early 2010, the Institute formalized an affiliation agreement with the Smithsonian Institution in Washington, D.C. Affiliate status grants the Institute access to the Smithsonian’s artifacts, education, and performing arts programs, expert speakers, teacher workshops, and resources to complement and broaden exhibitions. The Affiliation agreement marked a new era for the museum and is an important component of UTSA’s effort to achieve national research university status.